According to Brian May, this commemorative game has been a year in the making and will hopefully begin popping up in stores this coming May. The goal of the game has been altered to reflect the band’s legacy; instead of buying up real estate and utilities in an effort to bankrupt friends and family, players will instead attempt to achieve Queen-style greatness by following “the amazing gig history of Queen, from their very first at Imperial College in 1970 to their last with Freddie Mercury at Knebworth Park in 1986” and buying “gig locations and hit singles” as they go, says EW. 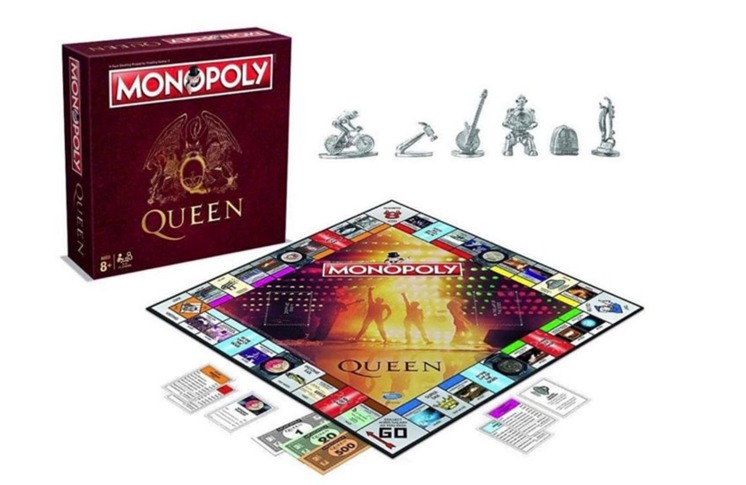 Queen Monopoly features an assortment of new playing pieces designed after key moments in the band’s history. 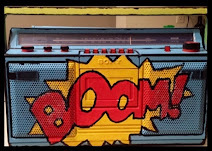 In addition to May’s guitar, players can choose from a robot (inspired by the News of the World album artwork), a bicycle (a nod to the bands’ “Bicycle Race”), a vacuum cleaner (as seen in the video for “I Want to Break Free”) and a hammer (an allusion to “Hammer to Fall”).